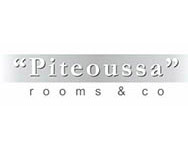 Piteoussa is a special type of hotel. Contact us with any question and for information. For any information or inquires please do not hesitate to contact us.Our Reservation Department will be at your disposal and more than happy to help you.